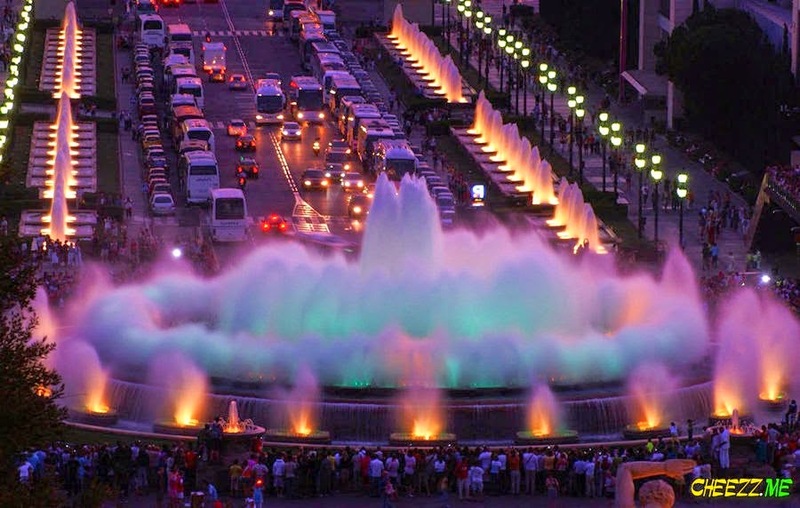 In Barcelona city a magnificent magic fountain show welcomes you! 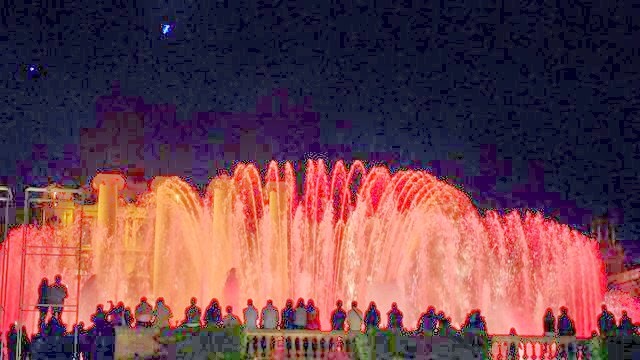 With a fantastic mixture of music, show of water and light. It will impress you and make this moment unforgettable. 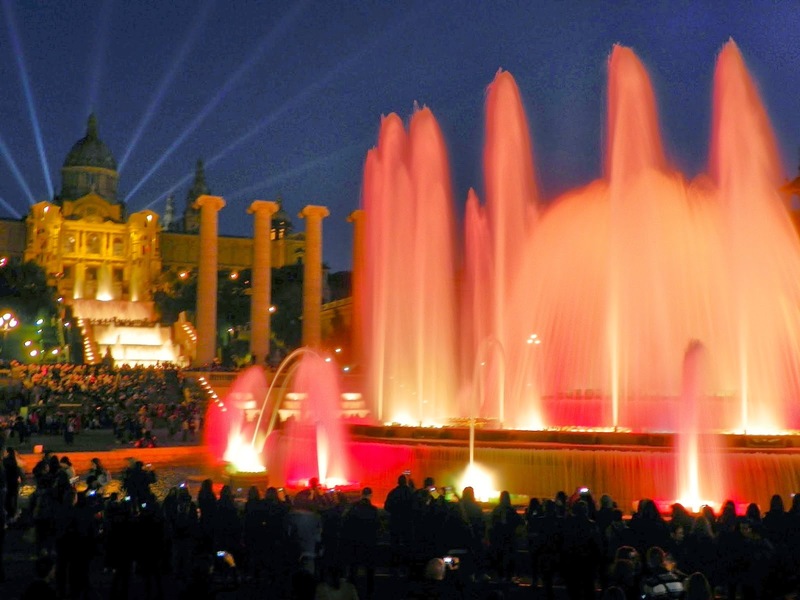 Built in 1929, magic fountain of Montjuic offers you a scenery like in the movies but no you are not in the movie! 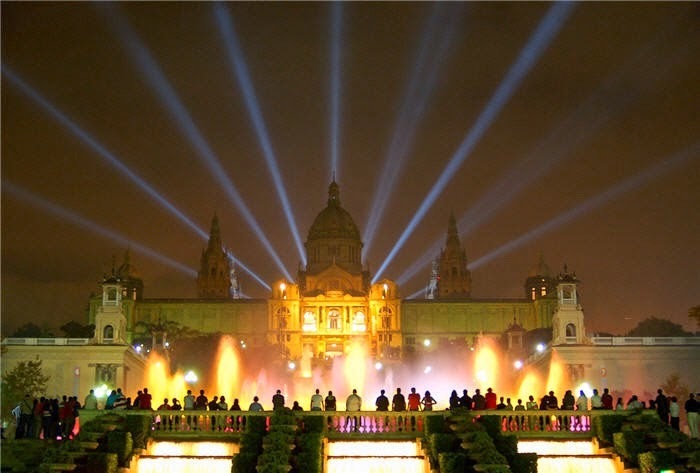 It's real and dreamlike show which has more than 2.5 millions of visitors annually. 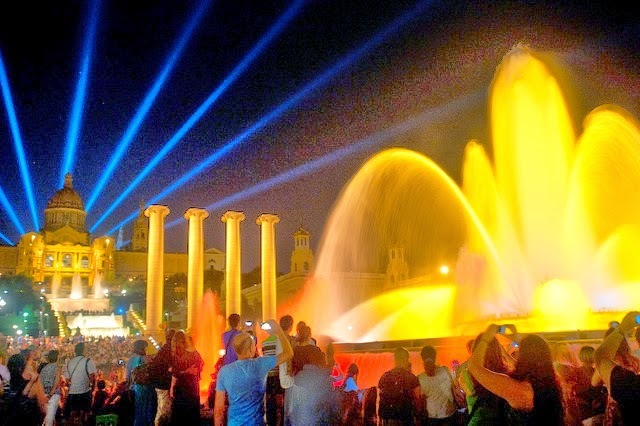 In summers, from Thursday to Sunday you have a chance to see this amazing show and it's full free! Please remember that due to exhibitions or some special events, fountain may be closed during that times. 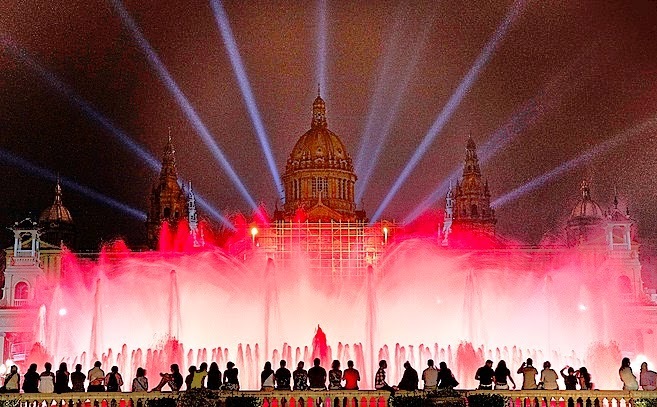 Here below there is a video showing how amazing Magic Fountain Light Show in Barcelona. Friday and Saturday: From 7pm to 9pm. Thursday to Sunday: Show every thirty minutes from 9pm to 11.30 pm. The last show starts at 11.00 pm. Well, who is the engineer of this beautiful light show? It's the Spanish successful Catalan architect and engineer Carles Buigas. He designed all the light system and today it's still being used. 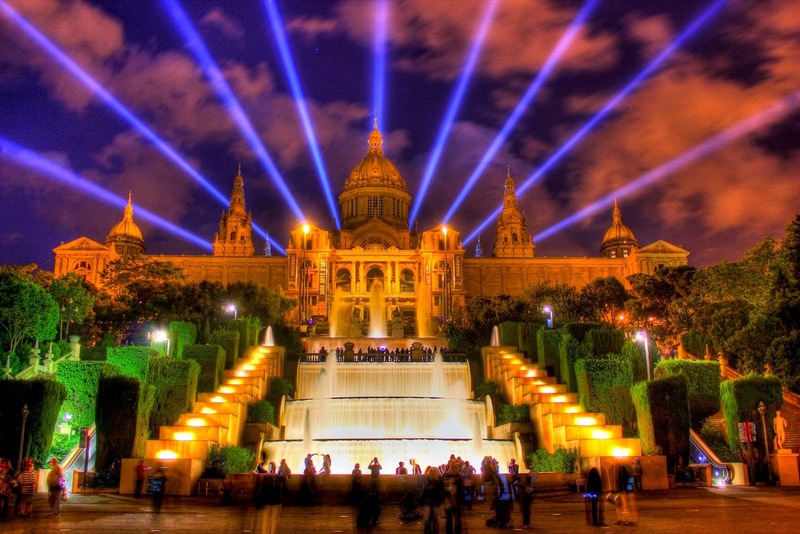 Beside this, you will see four columns in the light show which represents Les Quatre Columnes Barcelona. These four columns symbolize four stripes in the Senyere Catalan flag. The original four columns were destroyed during Primo de Rivera's dictatorship. For slight show click on the photos. 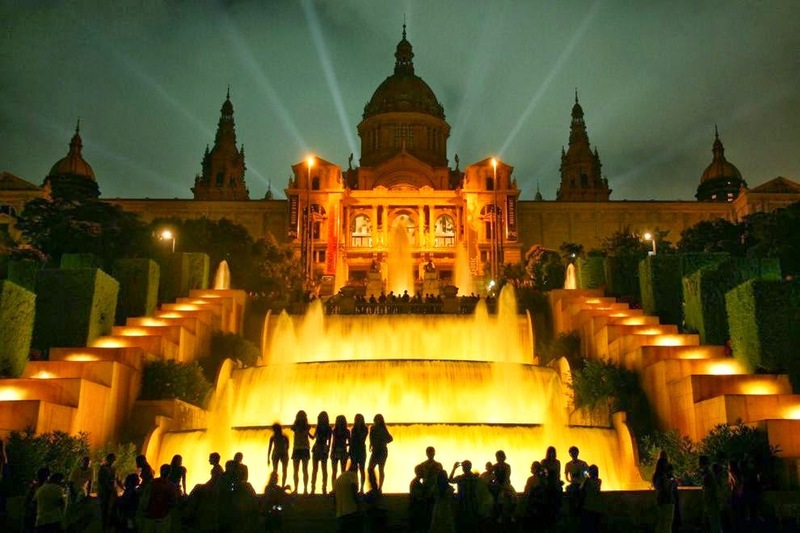 How you can get to Magic Fountain of Montjuic? You can get the Green Line, L3 and Red Line, L1 metro if you want. 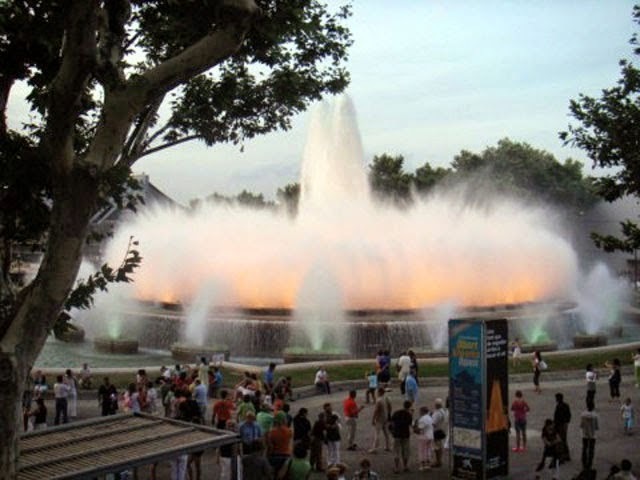 Magic Fountain of Montjuic locates at the head of Avenida Maria Cristina in the Montjuic neighborhood of Barcelona. 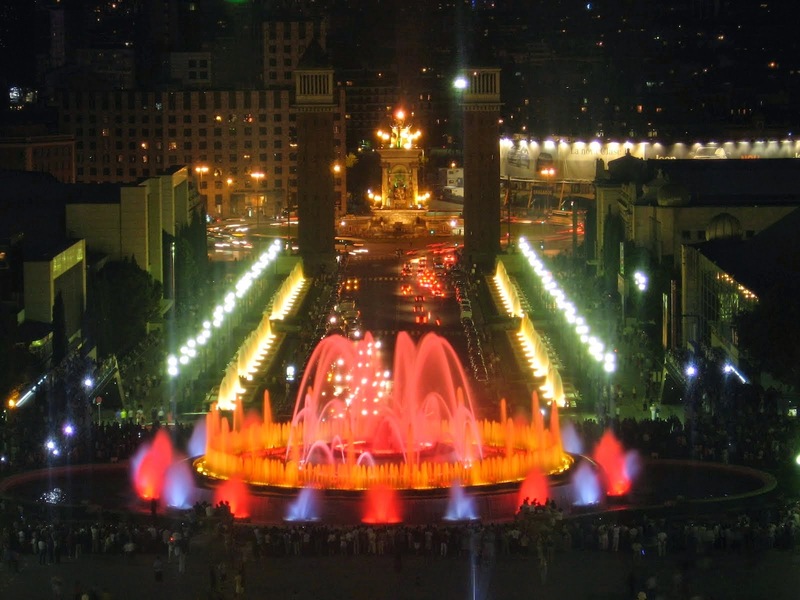 The fountain is located below the Palau National on the Montjuic Hill and near the Plaça d'Espanya. Here below a map for your easy access.